Gift. 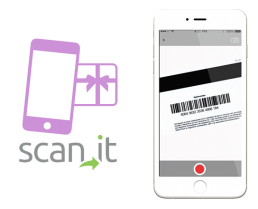 it – scan it. earn it. gift it. 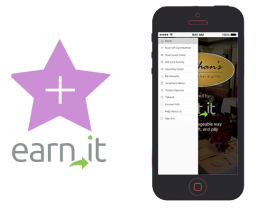 Digitalize your restaurant gift cards and pay the check with ease. Imagine a bottle of your favorite wine delivered to your table while dining at a restaurant – courtesy of a friend, whose accompanying message not only gets sent to your phone but is also transcribed on the guest check at the end of your meal. Or receiving a notification informing you that a family member picked up your first round of cocktails from a remote location. Imagine receiving a notification from a restaurant featuring a $25 discount on your next visit when purchasing a $100 gift card within a 48-hour window. 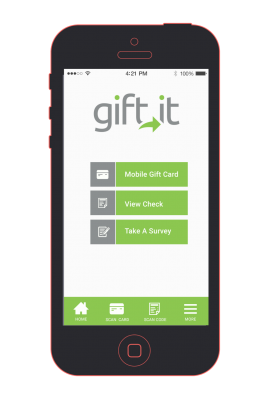 Enter Gift.it, a market-ready iOS app with the logic to deliver these (opt-in-or-out) social options and loyalty-producing incentives… and much more. Using a proprietary Point of Sale integration, our white label platform allows diners to conveniently store their gift cards and reward point balances in their Smartphones – then redeem those values seamlessly (or send to a friend) either during or before each restaurant visit. 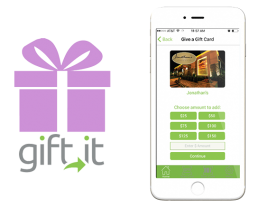 Gift.it is the first and only mobile app that allows users to remotely settle the dining tab of a friend or a colleague in real-time. The app offers a suite of socially-dynamic features, including one that allows users to cover a portion of a friend’s guest check or pay for a round of cocktails while writing a personal greeting which gets transcribed on the check itself when presented. Use it for your Business..